ObamaCare didn’t improve health insurance for Americans. ObamaCare required people long past child-bearing years to pay for insurance that covered children.. ObamaCare forced single men to pay for maternity care–it was the only way the program could be cost effective. Other than that, if you chose not to buy insurance, you had to pay a fine. It is ironic to me that the fine was paid to the government–the insurance companies did not receive the money from the uninsured. Well, Congress obviously was not interested in repealing ObamaCare, so we are still stuck with it. What can we do for people who can’t afford health insurance and yet are forced to pay a fine because they are not insured? That makes about as much sense as debtor’s prison. Yesterday Investor’s Business Daily posted an article about some temporary relief for people who cannot afford high-priced health insurance policies. This week, Trump’s Health and Human Services department issued regulations that will let insurers sell short-term insurance plans that don’t have to comply with ObamaCare’s onerous market regulations and benefit mandates. To prevent people from escaping ObamaCare, President Obama limited these plans to just three months. Trump would let them last just shy of one year. “Americans need more choices in health insurance so they can find coverage that meets their needs,” HHS Secretary Alex Azar said in a statement. …As it is, ObamaCare isn’t working. Despite promises from Democrats that it would stabilize the individual insurance market, it’s had the opposite effect. Where there was healthy competition, there is often one insurer. Where double-digit premium increases were a rarity before ObamaCare, they’ve become a grim routine since. This option isn’t likely to draw people away from ObamaCare, because millions aren’t enrolled anyway because they don’t want it or can’t afford it. The article points out that one problem with ObamaCare is that young people did not sign up for it–the premiums were too high and the deductibles were too high. The young people signing up was supposed to impact the actuary tables in a way that would make ObamaCare cost effective. The changes in the new regulations will help bring free market principles into the health insurance picture and will allow people a wider range of insurance choices. Recently I heard that despite Republican efforts to end ObamaCare and their successful effort to repeal the individual ObamaCare mandate, the number of people enrolling in ObamaCare was increasing. The Democrats were using that statistic as a talking point, saying that it was proof that the American people supported ObamaCare. Well, not so fast. On Thursday, The Daily Signal posted a fact check on the idea that more people signed up for ObamaCare for 2018 than previously. The total number of sign-ups on HealthCare.gov during the 2018 open enrollment period is lower than previous years, although the pace of sign-ups was faster. About 8.8 million people signed up for 2018 health coverage on HealthCare.gov during this year’s open enrollment period ending Dec. 15, compared to 9.2 million sign-ups for 2017 coverage and 9.6 million for 2016 coverage. HealthCare.gov provides Affordable Care Act individual health plans in 39 states. The remaining 11 states and the District of Columbia run state health exchanges, and may have later deadlines to sign up than the federal deadline. Total enrollment for Obamacare plans won’t be known until all exchanges are accounted for, but enrollment on state exchanges also lags behind previous years. The New York Times claimed the 8.8 million number is surprising since President Donald Trump’s administration cut HealthCare.gov’s advertising budget by 90 percent and shortened the enrollment period to around 45 days, half the length as the 2017 enrollment period. …The bulk of HealthCare.gov sign-ups were consumers renewing coverage, with 2.4 million new consumers for 2018 compared to 3 million new consumers for 2017 and 4 million new consumers for 2016. Premiums for health plans offered on HealthCare.gov skyrocketed for 2018, due in part to the Trump administration eliminating cost-sharing payments to insurance companies. Premiums for the second-cheapest silver plan increased 37 percent from an average of $300 per month to $411 per month. Low-income Americans will get larger subsidies because of the price increase. It is amazing to me that the government can force Americans to buy anything. It is also amazing to me that the price of health insurance under ObamaCare has skyrocketed and that tax dollars are being used to shore up the plan–subsidizing low-income Americans. What happens to average-income Americans when their insurance rates skyrocket? Hopefully with the repeal of the individual mandate, ObamaCare will die by the end of the year. What Does The Tax Plan Look Like? Investor’s Business Daily posted an article today detailing some of the impact of the new tax plan. TPC estimates an average tax cut of about $2,140 per person. 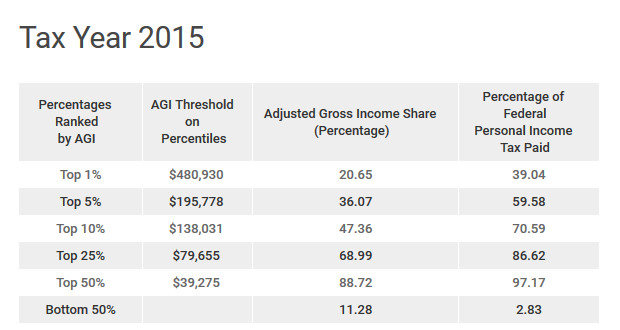 By the way, some 16% of the richest Americans — those in the top 0.1% of incomes — will face an average tax increase of $387,610. Brian Riedl of the Manhattan Institute, further crunching the TPC numbers, found that while the top 1% of incomes now pay 27% of all federal taxes, they will get just 21% of the tax cuts. The bottom 80%, including the middle class, pays only 33% of all taxes, but will take home 35% of the tax cuts. Of the 12% who will face tax hikes, they’re overwhelmingly among the rich — not the middle class. So, no, it’s not “tax cuts for the rich.” That’s a totally bogus argument. For that matter, so are the arguments that tax cuts tank the economy. History is replete with examples of why that isn’t true. When the economy really begins cooking, with the economy growing close to 3%, hundreds of thousands of new jobs being created and workers seeing more in their paychecks, how will they explain that to their constituents? One of the things to remember here is the impact of cutting the corporate tax rate. Corporations don’t pay taxes–they pass them on to consumers and shareholders. When you lower the corporate tax rate, good things happen for consumers and shareholders. The other aspect of this is the relationship between the American corporate tax and corporate taxes in other countries. America had one of the highest corporate tax rates in the world. This high tax rate encouraged companies to locate their headquarters elsewhere. Lowering this tax rate makes America more competitive as a home base for businesses. The lower tax rate combined with the low cost of energy in America makes America a very attractive place to do business. Time will tell what the impact of this tax plan will be. If all Americans do better under this tax plan, it will be difficult for Democrats to explain their opposition to it. This is the summary from Thomas.gov of the tax bill that passed the Senate last night. What Does The Senate Tax Bill Do? Investor’s Business Daily posted an article yesterday detailing the tax cuts under the Senate Tax Bill currently being considered. “Senate GOP tax bill hurts the poor more than originally thought, CBO finds.” That’s the headline in the Washington Post describing a Congressional Budget Office report released on Sunday. The CBO numbers assume that if the mandate is gone, people will drop their insurance. It does not consider the fact that many people pay the fine rather than the high cost of insurance. The tax bill returns the freedom to consumers to make their own choices about health coverage. If the tax cuts are passed, we can expect economic growth to return to our previous normal of about 3% (or more). We can expect people to leave welfare and join the work force because of a booming economy that results in higher wages. If the tax cuts fail, we can expect a Democratic Congress that will raise taxes, slow economic growth, and spend its time trying to impeach President Trump. It’s up to Congress to make the choice. Can The Republicans Stop Fighting Themselves Long Enough To Pass A Tax Bill? One American News posted an article today about Senate plans to pass a tax bill. The Senate is expected to vote on their version of the tax bill next week. Speculation is that Mitch McConnell will bring the bill to the floor on Thursday. The senate plan includes a repeal of the Obamacare individual mandate, which penalizes Americans for not buying into the failed health care system. Only a handful of republican senators have expressed concerns with the bill, but none have indicated they will not vote in favor of the plan. If the bill passes, the Senate and the House will have to hammer out the final details before sending the finalized legislation to President Trump. I can almost guarantee it will not be a perfect bill, but hopefully it will provide the tax relief that the middle class and businesses need. Guy Benson posted an article at Townhall today about the Democrat‘s claim that if the tax reform bill is passed, millions of people will lose their health insurance. In spite of a torrent of liberal attacks, independent analyses have confirmed that the plan would boost economic growth, create nearly one million new full-time jobs, and reduce the tax burden on the vast majority of Americans; on average, taxpayers in every income group would receive a tax cut. There will be a small percentage of Americans — many of them wealthier people who itemize deductions and exploit loopholes — who would be worse off under the proposal. Republicans would be foolish to pretend that every single household and business would emerge as ‘winners’ if reform is implemented; that would echo one of the biggest lies Democrats peddled about Obamacare. But the data has found that an overwhelming majority of Americans, including (or even especially) the middle and working class, would benefit from the House-approved bill. 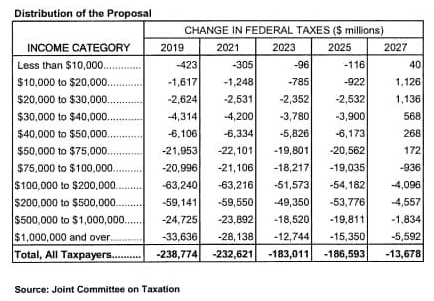 The bottom line here is that Democrats do not want to cut taxes. A tax cut will stimulate the economy and undo (and expose) the economic damage done by the Obama Administration. The Washington establishment cannot afford a successful Trump presidency–it would come too close to draining the swamp. It will be interesting to see if the tax bill passes (and in what form). If the Republicans do not pass the tax bill, they will probably lose Congress in 2018. If the Republicans do pass the tax bill, the economy will grow, at least part of the Washington swamp will be drained, and Trump will be a successful President. Get out the popcorn. The Heritage Foundation posted an article on Wednesday explaining some of the ways that the Senate version of tax reform is better than the House of Representatives version. It is quite likely that even if the Senate passes its version of the bill, the final bill will be different from both the House and Senate Bill. 1. Lower tax rates at every level. The House bill does not lower the top rate and in fact raises rates for the very wealthy. While that sounds nice, it is patently unfair–the rich already pay more than their share of taxes. It seems to me that everyone deserves a tax break! 2. Full repeal of the state and local tax deduction. 3. Simpler treatment of business income. 4. Better treatment of investments. 5. Lower tax rate on overseas profits. 6. Repeal of the individual mandate. Please follow the link to The Heritage Foundation article to see the details and reasons for supporting these points. I would like to mention what impact the repeal of the individual mandate would have. First of all, does the government have the right to force Americans to buy a product? Second of all, if a person can’t afford health insurance, how are they supposed to afford the penalty for not having it? The individual mandate was put into ObamaCare to gain the support of the health insurance companies–it was a promise to give them more customers. That promise, along with the promise of the government paying the companies to cover their losses under ObamaCare, was the reason the health insurance companies supported ObamaCare–they were in it strictly for their own gain–not because it would improve healthcare in America. The six reasons listed above are the reasons that The Heritage Foundation supports the Senate tax reform bill. We all need to pay attention to see if the bill passes the Senate and what is done to it after it passes. It’s time to tune out the class warfare rhetoric and stay informed. Great Idea Or Poison Pill? The American Spectator posted an article today about the proposed tax reform bill working its way through Congress. The Senate majority leader and the Senate finance committee endorsed Senator Tom Cotton’s proposal to include a repeal of Obamacare’s individual mandate alongside tax cuts. This either kills two birds with one stone or that one stone sinks the tax plan because of its weight. If Senator Bob Corker issued his complaints last month regarding deficit reduction in earnest, one guesses that the former occurs. Aside from moving toward individual freedom and the Constitution, the repeal of the individual mandate makes sense fiscally, particularly with a $20 trillion debt hanging above our heads. The added dynamic alleviates, at least, the concerns regarding the deficit aired by Senators Corker, John McCain, and Susan Collins. Adding the repeal of the ObamaCare Mandate to the tax bill makes good sense in terms of what is the right thing to do. The move has questionable value politically. The Democrats are complaining that repealing the mandate will mean that low-income people will not have health insurance. Wait a minute. That claim defies logic. Repealing the individual mandate means that low-income people will not have to pay a fine if they don’t have health insurance. If they can’t afford health insurance, how are they supposed to pay the fine? Since when did the government acquire the right to force you to purchase something you don’t want? In 1981, when Ronald Reagan slashed the top personal rates from 70 to 50 percent, the federal government imposed the heaviest burden on Americans. Now, the cost of the federal government and the cost of healthcare approaches parity. The former gobbles up the same portion of the GDP, more or less, that it has throughout our lifetimes. The latter has almost tripled in its proportion of the GDP in just a half century. Donald Trump’s tax plan puts American businesses on a level playing field with their competitors abroad and sensibly allows citizens to keep more of what they earn. This undoubtedly helps the economy. But the Trump tax cut will not boost growth the way the Reagan or Kennedy or Coolidge cuts did because 2017’s economy faces a special health-care challenge that did not exist in the 1920s, 1960s, or 1980s. Prosperity proves illusory in any economy in which the cost of one commodity outpaces growth. Who cares if a tax cut boosts GDP by one percent if medical inflation devours that increase in the economy? Good for Republicans for recognizing that relief for citizens requires reforming not just the tax code but the healthcare system, as well. Bad for any of them to imagine the job done, or a boom around the corner, through a modest personal tax cut, a robust corporate rate reduction, and a repeal of the individual mandate. Adding the repeal of the individual mandate to the tax plan will help low-income people. However, in watching this debate, remember that the Washington establishment does not want Donald Trump to be a successful President–he is an outsider and the establishment thoroughly resents that. My fear is that the tax reform will not pass because the repeal of the ObamaCare mandate will be a poison pill for much of the establishment. At that point, the Republican establishment will whine, “We tried, but the Democrats wouldn’t let us pass tax reform.” If that happens, it will be a long time before I vote for a Republican again. …”All bills for raising Revenue shall originate in the House of Representatives” (Article 1, Section 7). Thus, I’ve listed the House’s “original jurisdiction” over revenue bills (laws that affect taxes) as a check. The House, however, views this clause a little differently, taking it to mean not only taxation bills but also spending bills. Yesterday, John Hinderaker at Power Line Blog posted an article explaining how recent actions by President Trump are restoring that constitutional principle. On Thursday, President Trump announced that he was ending payments to insurance companies that were implemented by Executive Order under ObamaCare. Since the payments were never approved by the House of Representatives, the payments were illegal and should never have begun in the first place. The Obama Administration had made those payments. If Congress wants to continue the subsidies, it can do so. Its appropriation, obviously, will make them constitutional. But regardless of what happens from now on, the Trump administration has acted admirably by refusing to go along with the unconstitutional regime that Barack Obama instituted. This is not about politics–it is about following the U.S. Constitution as the law of the land. The Washington Free Beacon posted an article today about what is happening to the cost of health insurance in Florida. ObamaCare needs to be totally gone. Meanwhile, President Trump is dismantling the parts of it that he can legally dismantle. Since so much of ObamaCare was written as it went along, much of it can easily be eliminated by the Executive Branch. However, the ideal situation would be to get rid of ObamaCare totally and let the free market take over. 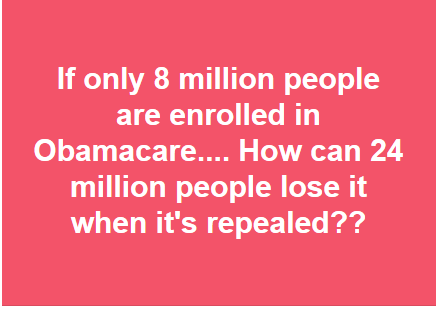 That would probably result in lower healthcare premiums for everyone. The rather feckless Republicans don’t seem to be able to get rid of ObamaCare, but President Trump is managing to clip its wings somewhat. Yesterday Investor’s Business Daily posted an editorial explaining one way President Trump is cutting ObamaCare spending. In late August, the administration announced that it was sharply cutting the promotional budget for ObamaCare as well as money spent on “navigators” paid to help people enroll when open enrollment starts on November 1. Both cuts were more than justified. The Obama administration nearly doubled ObamaCare promotional spending in 2016 to more than $100 million, only to see overall enrollment decline by 400,000 and the number of new enrollees drop by 42%. This year, the Department of Health and Human Services is slashing the ad budget to $10 million. The navigator program was an even bigger waste of money. HHS notes that the Obama administration dumped $62.5 million on navigators last year — who then managed to help fewer than 82,000 people enroll. That’s $762 per enrollee. One navigator got $200,000 and enrolled one person. HHS is cutting the navigator budget by almost 40%. Not surprisingly, the cuts were treated by ObamaCare defenders as another effort by Trump to sabotage the law. But then something interesting happened. The private sector mobilized to pick up the slack. When the government gets out of the way, good things happen. Why should taxpayers fork over hundreds of millions of dollars for dubious federal ad campaigns and to pay underworked navigators, when there are passionate people and plenty of money in the private sector to take on this job? It’s a safe bet, too, that these privately run and privately funded groups are going to use their money more efficiently and effectively than the government ever could. Plus, they will be able to look with pride at their successes, rather than complain about how the government should do more. Instead of attacking Trump, these groups should be thanking him for giving them the opportunity to take on this challenge. As for the rest of us, this is a perfect example of how government programs can be cut without harming citizens. With any luck, there will be many more such examples in the years ahead. I don’t know how many times Senator John McCain promised to repeal ObamaCare when he was running for office. Evidently he doesn’t remember either. So it’s time to take a different approach to repeal. Understand that the Democrats will never support a bill that de-funds Planned Parenthood, something that the Graham Cassidy bill does. Every Republican should support the bill for that reason alone. Let me start by saying “Thank you.” On issue after issue, from individual privacy to economic freedom, from constitutional war-making to criminal justice reform, you have been a light in an often murky Senate and a muddled GOP. …Your stand on foreign policy in the 2016 election was equally brave and principled. Here at The Stream I echoed your sensible objections to the Syria policies of GOP establishment politicians. You were right in warning against Marco Rubio’s support for arming Syrian rebels. And against Chris Christie’s proposal to threaten to shoot down Russian planes in defense of jihadists. Indeed, you helped lead the fight to stop President Obama from a reckless and destructive U.S. intervention in Syria a year before. You have been a voice of principle, of course. In the Republican party you may have the best claim to Reagan’s mantle. His optimism, his confidence that Americans would prevail if the government simply protected their rights and left them alone … there’s too little of that spirit in the GOP today, much less in the country. In an age where the competition seems to be for the label of “victim,” you carry on like the Gipper. It abolishes the individual and employer mandates, caps per capita spending on Medicaid, blocks federal funds from going to insurance plans that cover abortion, and lets interested states attain freedom from some of Obamacare’s regulations. Some of those states could use that freedom to create markets in which people outside of Medicare, Medicaid, and employer-based coverage would finally be enabled to buy cheap, renewable catastrophic-insurance policies. All of those are important improvements. But I’d like to focus on one. Pro-life groups have put heavy pressure on you to reverse your stand on this bill. That’s because it’s the one plausible chance to accomplish something which you’ve tried manfully to do on several occasions: to defund Planned Parenthood. It’s crucial to keep the close attachment that evangelical Christians and conservative Catholics have had to American ideals of liberty. We don’t want the growth of a statist, nationalist party in America along the lines of France’s National Front. That’s not our GOP. With your principled stand on life, your balanced stance on immigration, you could help anchor the party. You might well come to lead it. But if you get blamed for the failure to defund Planned Parenthood, and undo at least some of Obamacare’s damage. … I fear that will never happen. So please, Senator Paul. The causes of life and liberty are here in perfect alignment. So is political prudence. And your own lofty ambitions, which I support. Please change your vote. It is obvious that we cannot count on Senator McCain. Can we count of Senator Rand Paul to help end the nightmare of ObamaCare? This may be our last chance to get rid of this horrible law. I suggest that if we cannot end ObamaCare that President Trump immediately sign an executive order putting Congress under ObamaCare. If Congress if going to force the American people to live with a bad law, they should have to live with it also. Investor’s Business Daily posted an article today about the consequences of the Republicans’ failure to repeal ObamaCare. Many Democrats and their ideological allies are using the congressional recess to crow about the GOP‘s defeat — and dream about replacing Obamacare with a bonafide single-payer system. Several folks within the senator’s sizeable political following have hinted that support for single-payer will be a “litmus test” that will determine whether they will get behind Democratic candidates — or primary them. So what does single-payer healthcare mean? The Medicare for All plan that Senator Sanders introduced during his presidential run would cost $2.5 trillion — nearly double what the Sanders campaign claimed. Another study by the Urban Institute found that the plan would increase spending by $32 trillion over the next decade. Last November, Colorado voters rejected Amendment 69, a ballot initiative that would have created a single-payer system in the state, by an 80-20 margin. An independent analysis revealed that the plan would have run a deficit of $253 million in its first year — and $7.8 billion by 2028. Bernie Sanders’s own state of Vermont experienced similar sticker shock. The plan under consideration in the Green Mountain State would have cost $4.3 billion — nearly 90% of the entire state budget. The article reminds us that the way to make single-payer more economical is to ration care. That is not an improvement to the healthcare Americans received before President Obama ruined it for the majority of Americans. The median Canadian, for example, waits nearly five months to get treatment from a specialist after receiving a referral from his general practitioner. That is more than twice the wait of 25 years ago. The United Kingdom’s single-payer system offers more of the same. At the end of June, 4 million people were waiting for care. That is the highest figure in a decade. Is this really the path the United States wants to go down? According to a June Pew survey, only 33% of Americans think single-payer health insurance is a good idea. But that number is up 12 percentage points since 2014. It should come back down, once Americans realize that single-payer means paying a lot more for a lot less health care. It is long past time for the Republicans to repeal ObamaCare. For seven years, Republicans promised to repeal ObamaCare if voters gave them the House, the Senate, and the White House. Last week they failed to repeal ObamaCare. What were some of the things that kept them from keeping their promise. Yesterday CBN News posted an article about some of the things about the relationship between Congress and ObamaCare that were not widely reported. In 2009, when lawmakers were debating Obamacare, Sen. Chuck Grassley, R-Iowa, put forth an amendment calling for congressional employees to subject themselves to insurance coverage under the Affordable Care Act. The amendment was unanimously adopted. “The whole point of this provision was to make them feel the pain if it didn’t work,” Kerpen (Phil Kerpen, president of American Commitment) said in an interview Wednesday with CBN’s Pat Robertson. One flaw in the final Senate bill was that the amendment did not include employer contributions. Consequently, when Obamacare passed, it terminated coverage that members and their staff previously had through the Federal Employee Health Benefit program, which subsidized about 75 percent of their health care plans. …Senate Democrats met with President Barack Obama in 2013 to address this problem. After the meeting, Obama directed the Office of Personnel Management (OPM) to issue a rule qualifying both the U.S. House of Representatives and Senate as small businesses, which is a label legally only given to businesses with less than 50 employees. Kerpen says one person filed “blatantly false documents,” which were obtained by Judicial Watch, in order to sign up 12,000 people in an exchange that should only apply to companies with 50 employees or fewer. …When President Trump threatens to end the bailouts for members of Congress for Obamacare, he is threatening to direct the OPM to reverse Obama’s regulation allowing employer contributions to exchange plans. If this rule is reversed, members and their staff would lose their government-funded subsidies and be subjected to paying the premiums people without employer coverage have to pay that make too much money to qualify for subsidies. “This is mandatory work they’ve got to get done for the American people,” Kerpen said. I hope that the President follows through on that threat–Congress is supposed to live under the laws they pass! Insurance Companies should not be compensated for the campaign donations they make! The purpose of journalism in a representative republic is to keep the voters informed on the issues so that they can make intelligent choices at the voting booth. The idea is that the voters will elect people who represent them and who make wise decisions. In theory that is a really great idea. In practice, it currently does not work. Yesterday Investor’s Business Daily posted an article about some of the recent reporting by the mainstream media on ObamaCare. Now that the repeal of ObamaCare has failed in Congress, evidently the media feels comfortable reporting the truth about how bad ObamaCare is. Reuters, meanwhile, published a story the day after the Senate repeal votes failed, reporting that “hundreds of U.S. counties are at risk of losing access to private health coverage in 2018 as insurers consider pulling out of those markets in the coming months.” This information has been widely available for months, but was apparently of no interest to Reuters before the repeal effort collapsed. Much of the mainstream media is now reporting that ObamaCare is unsustainable and will collapse under its own weight. So where were those stories when the votes were taken? There is a lot going on here. The Democrats want ObamaCare to fail so that they can institute single-payer, totally government-controlled healthcare. If you think that is a good idea, take a look at how it has worked at the Veterans Administration. Also consider the fact that the British healthcare system has considered denying people needed care because they were overweight or smokers or drinkers. Do you really want the government telling you how to live your life? The Republicans (specifically John McCain and Lisa Murkowski) betrayed the voters when, after seven years of promising to repeal ObamaCare, they voted not to repeal. It is time to put the Washington elites under the same health insurance as the average American. The media does not realize what single-payer will do to them, but the Washington elite knows they can avoid the hazards of single-payer by exempting themselves (as they have in the past). If the current Congress will not create a healthcare system that covers themselves as well as the rest of the country, it is time to elect a new Congress. ObamaCare does not need to be modified–it needs to be destroyed. It was a bad idea from the beginning. Townhall posted an article today that contains the perfect solution to fixing health insurance in America. …President Trump should issue an immediate Executive Order demanding disclosure of all financial interests and ownership in healthcare related companies or stock by every member of Congress- including all family members and offshore accounts. Failure to disclose will result in a long prison term. I think that about covers it! I have nothing to add. Last night the Senate voted on a bill to repeal certain aspects of ObamaCare. The Senate failed to repeal ObamaCare. The Gateway Pundit reported the story. Three Republicans voted against the bill to repeal ObamaCare–Sens. Susan Collins of Maine, Lisa Murkowski of Alaska and John McCain of Arizona. The first thing that needs to happen here is that all members of Congress and their staffs need to no longer be exempted from ObamaCare. Let’s make these legislators live under the laws they are forcing the voters to live under. The second thing that needs to happen is that the Republicans in Congress need different leadership. The third thing that needs to happen is that the three Republicans that voted against the partial repeal need to have primary challengers when they run for re-election. It would repeal the individual mandate, which is the requirement that most Americans buy insurance or pay a penalty. The provision was intended to help control costs by encouraging younger, healthier people to enter the market. Republicans have said it forced people to buy plans they did not want. The bill would roll back the employer mandate, a similar provision that says large employers have to provide insurance for their workers. The plan would expand a program that allows states to waive certain provisions under Obamacare. It would suspend the medical device tax. The proposal would increase contribution limits for tax-free health savings accounts. It would defund women’s health provider Planned Parenthood for one year. This bill was an extremely stripped-down version of repeal. It is a reflection on the swamp in Washington and those Republicans who are part of it that the Republicans promised to repeal ObamaCare for seven years. The promise was, “Give us the House, and we will repeal ObamaCare. Give us the Senate, and we will repeal ObamaCare. Give us the White House, and we will repeal ObamaCare.” I guess the real solution is, “Give us a Republican Congress with integrity and a spine, and we will repeal ObamaCare. It is truly a shame that Senator McCain chose to reappear in Congress only to submarine the wishes of the American public. Joel Chandler Harris was an American author who wrote the Uncle Remus stories. Some of these stories later became an animated film by Walt Disney called “Song of the South.” One of the characters in these stories was Br’er (“brother”) Rabbit, who when captured by Bre’r Fox pleads, “Don’t throw me into the briar patch.” Of course, Br’er Rabbit has grown up in the briar patch, is quite at home there, and sees the briar patch as an escape route. So why in the world is a political blog talking about Br’er Rabbit and the briar patch? Because I believe the story of Br’er Rabbit and Br’er Fox totally explains the current healthcare debate. Let’s look at the healthcare debacle strictly through a political lens. The best outcome for the Republicans (with a Republican President) is the complete failure of ObamaCare–rising costs, escalating premiums, denial of healthcare to senior citizens and young people, etc. Theoretically, President Trump has tried to avoid this. Had this failure occurred under a Democratic President, the solution would have been single-payer socialistic medicine. Under a Republican President, a free-market solution may be possible, but only after the total failure of ObamaCare. As premiums rise and health insurance and healthcare become more difficult to obtain, voters may get angry enough to remove from office those who had blocked the repeal of ObamaCare. I suspect that much of the Tea Party is already there. Because the Republicans could not repeal ObamaCare, it is still the Democrat’s policy. That may be exactly where the Republicans wanted it. So where are we now in the healthcare debate? The Gateway Pundit is reporting today that there is no possibility of repealing and replacing ObamaCare and there is no possibility of repealing ObamaCare over the next two years. GOP Senators Susan Collins, Shelley Moore Capito and Lisa Murkowski said Tuesday they’ll oppose a repeal of the Affordable Care Act. McConnell said late Monday the Senate would vote on a repeal with a two-year delay to give Congress time to agree on a replacement, but he could afford to lose no more than two Republican votes to advance the measure. Repealing the law now and then hoping for a replacement “would create great anxiety for individuals who rely on the ACA,” Collins of Maine told reporters in Washington. “I believe it would cause the insurance markets to go into turmoil.” She said she would oppose bringing a repeal bill up for debate. Capito of West Virginia said she would refuse to take up a repeal plan without an adequate replacement. “I did not come to Washington to hurt people,” she said in a statement. Murkowski of Alaska also said she wouldn’t vote to take up a repeal-alone measure. House Republicans on Tuesday were seething with anger over the Senate GOP’s late Monday decision to pull the plug on a bill to repeal and replace Obamacare. Lawmakers leaving the House GOP’s weekly conference meeting said feelings of exasperation and anger have set in, now that the Senate has dropped plans to vote on an Obamacare replacement bill this month. “There is a lot of frustration, borderline anger I guess, at what really has to be described as some level of incompetence to be able to get together and get something done,” Rep. Mark Walker, R-N.C., who heads the conservative Republican Study Committee, told the Washington Examiner. I am not sure the Democrats are celebrating the fact that the Republicans could not repeal ObamaCare–now the Democrats are stuck with a healthcare plan that is rapidly crashing. Nearly 6.4 million Americans have selected Obamacare policies through the federal exchange for coverage starting Jan. 1, federal officials announced Wednesday. That’s 400,000 more than had selected policies a year ago. Under the proposed repeal and replace ObamaCare bill, the rate of growth of Medicaid will be cut–Medicaid will still grow, but more slowly. The goal is to create a program that will create a rate structure that allows more Americans to pay for their own health insurance. I am not thrilled with the current bill in the Senate, but passing it may be a necessary evil if we are to avoid single-payer or socialized medicine (which would be the result of the total collapse of ObamaCare which is rapidly approaching).